Thomas is Senior Manager Marketing at Beta Systems. 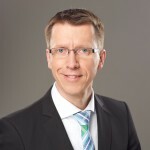 While working at market leaders Coca-Cola and Lidl, he was infected with the tech bug and moved rapidly into the software world, working for leading ECM and IAM companies in Marketing, Channel Sales and Product & Solution Management., with a strong focus on business processes and data center solutions at large clients. He is able to rapidly understand and articulate how technology can solve specific business challenges: for sectors, channels, prospects, teams ... and bring all stakeholders on board. He is someone who gets the job done – and then some. For many of our customers, document management is of key importance. Be it due to legal provisions that force a customer to archive certain documents over the long term, or because of contracts or agreements with a very long lifecycle (life insurance, public sector) whose original data must be available to processors for decades. Read this article to find out how our customers are handling a broad range of requirements.